Not soon. 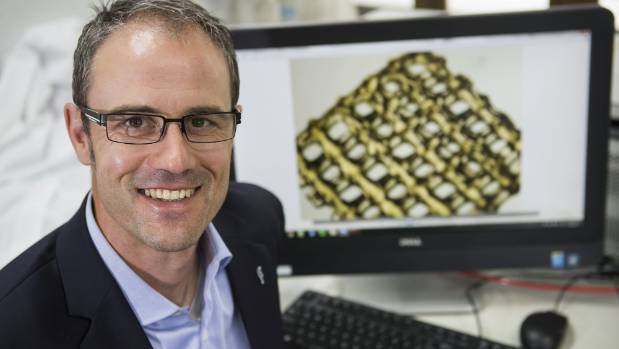 But eventually NZ surgeons will custom 3-D print bones and cartilage for implanting. Will Harvie reports. Imagine this future scenario: A surgeon has removed a cancer that’s eaten into a patient’s bone. The procedure has left a “void” or hole in the bone. The surgeon then implants bone tissue created from the patient’s own cells and some regenerative scaffolding materials. They have been layered and shaped by 3-D bio-printing to match the anatomical shape of the void. In the right circumstances, the scaffolding materials biodegrade as the bone cells grow to fill the hole. It might be 10-15 years away but that’s the promise of three-dimensional printing of human cells. It’s one aspect of a field called regenerative medicine. “It’s the future of orthopaedic surgery” says assistant professor Woodfield. He can imagine other future scenarios where 3-D bio-printing might help with orthopaedics. Full knee and hip replacements are now common. But the devices wear out after 10-15 years and need replacement. Doctors are also reluctant to undertake full transplants when the patients are in their 40s or 50s.